IoUC’s Deb and Tom continue to explore this month’s theme of Religion and Technology by interviewing Heidi Campbell of Texas A&MU. 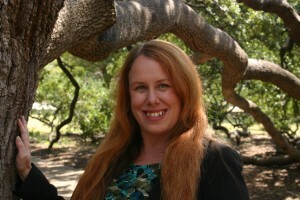 Heidi A Campbell is Associate Professor of Communication at Texas A&M University where she teaches in media, religion and culture, and Director of the Network for New Media, Religion and Digital Culture Studies (http://digitalreligion.tamu.edu). She is author of Exploring Religious Community Online (Peter Lang, 2005) and When Religion Meets New Media (Routledge 2010) and editor of Digital Religion: Understanding Religious Practice in New Media World (Routledge 2013) and Digital Judaism (Routledge 2015). Join the conversation at #IoUCRelTech.